A roundup of other methods, which includes using a redirect script in your Browser is here. Using Bookmarks is quite simple once you get the hang of it. By creating and using a few Bookmarks/Favourites you can move from anywhere to anywhere without delay. All that you really need is to open your Dashboard (WP-Admin) and keep it open in a tab so that you can return to it. Type or paste the following in your browser’s address bar, placing your blog name where indicated. Then you can Log-in to your dashboard. You only need to do this once and then Bookmark/Favourite it for future use. For the usual “classic” facilities such as the Editor, use the left hand sidebar and Right click your choice for “Open in a New Tab”. You might then Bookmark/Favourite anything for future use (i.e. Dashboard, All-Posts, Classic Editor, etc). It is better to use the left sidebar for all functions except switching blogs. You can reduce the left sidebar to icons by using the small arrow at the bottom. For the original Stats page, Right click on “View All” (beneath the graph) and select “Open in a New Tab”. For the older “Stats” page, Right click “Site Stats” from the menu of the small dial at the top left. Whatever our preference, you might Bookmark/Favorite for future use. If it is slow to load, refreshing/reloading often works. Avoid the top left “My-Sites” because, on this page, it will go to the new UI. To restore the your Dashboard or navigate/switch to your other blogs. .
Use your WP-Admin (Dashboard) Bookmark. Or, from the original Stats page, choose a Blog from the top right drop down menu and click on the small blue house (home) icon. But, beware the “Stats” links on that menu will take you to the new UI (User Interface) and the “Blog Post – Add” link will take you to the New Editor. To Log out hover your mouse pointer over your Gravatar and use the drop down menu. and might Bookmark/Favourite for future use or repeat this method. Again, “My-Sites” on this page will take you to the new UI. With thanks and credit to all those on the forums who initiated Bookmarking. 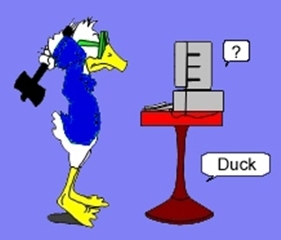 This entry was posted on February 3, 2015 by Graham in Hats. It was filed under WordPress Changes and was tagged with About Wordpress Changes, Help with WP Changes, New Notifications, New Stats, Recent Changes to Wordpress, Recent Changes to WP, Recent WordPress Changes, Recent WP Changes, wordpress changes, WP Changes. This was helpful Graham thank you! Well now since you know a whole lot more than I, do you have any ideas of why I can not get the comment bar to show on posts. Sometimes it does and sometimes it does not. It is like a crap shoot. I turned the comments off once and since then the dang thing has a mind of its own. It is checked in settings and I’ve no idea how to right a wrong. Thanks for reading my complaints. Select add new topic, state the problem and, where it says tags, enter modlook. That will get the attention of staff member, which seems entirely appropriate for this kind of problem. You are most welcome. I hope you saw the other reply which may be of more immediate help. I notice your Likes are off too. For that you will need to go the New Editor/Advance Settings. So you might as well check the “Allow Comments” there as well. Edit the post, using the full editor, not the new one. Scroll right down until you get to “Discussion”. Make sure that “Allow Comments” has a tick next to it. I’d forgotten that this has happened to one other recently. But, that seemed to result from a loss of broadband. But, can’t be sure. 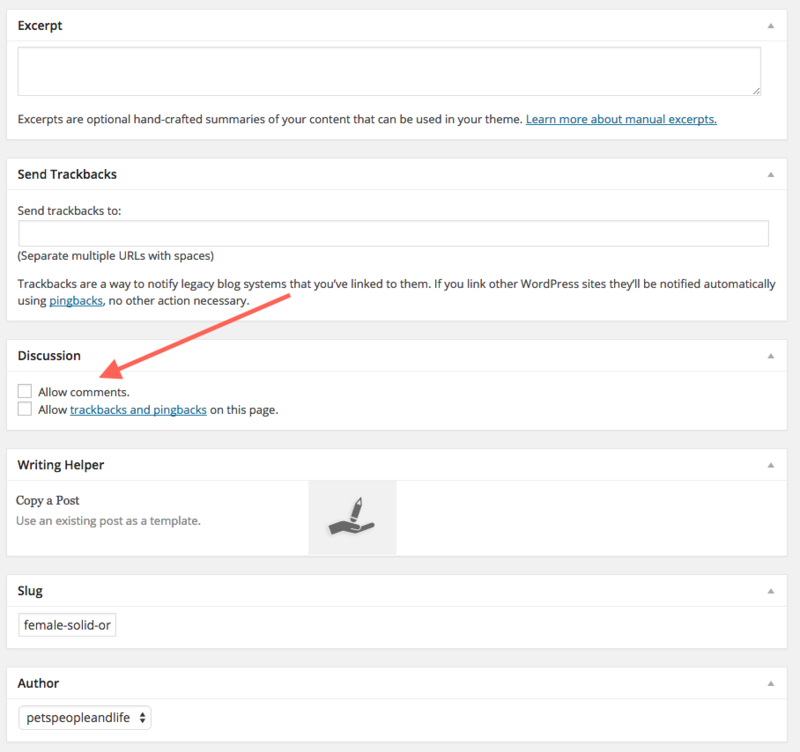 The setting you’ve made at Settings > Discussion in WP Admin – https://petspeopleandlife.wordpress.com/wp-admin/options-discussion.php – is to allow comments on for all new articles, however there’s another setting for each post which can override this. If you open your most recent post in the editor – https://petspeopleandlife.wordpress.com/wp-admin/post.php?post=5275&action=edit – then scroll down to the section with the heading “Discussion”, there’s a box there that needs a tick next to “Allow comments”. When you publish a new post, make sure this box is ticked. Let me know if you have problems finding it from the link I’ve pasted here. Yes, it was very strange what happened to me and I can’t rule out a bug because I honestly don’t remember unticking that box. Thanks for passing this on. If you see anyone else with the same problem please let me know. Thank you. Rachel but all of that is checked. I’ver gone over those areas with a fine tooth comb. I did find a place at the top of the page where I write the posts and discussion had somehow come undone. I don’t know how that happened. But evething else in the dashboard section regarding the those tick boxes were checked. Maybe it was the one thing at the the top where I write, edit, save draft and all that jazz that was amiss. I shall do an itty bitty test post maybe today to see what happens. All this working was working fine when I did the butterfly post. Thank you for all the info. I will save it. The box next to Allow Comments needs a tick. If you can’t see the Discussion section there, try clicking “Screen Options” at the very top right of your page and make sure “Discussion” is ticked. It is an improvement that’s for sure but disappointing that the stats and new post links go the upgrade rather than the classic. Fingers crossed! You have done a really good job on this Graham!